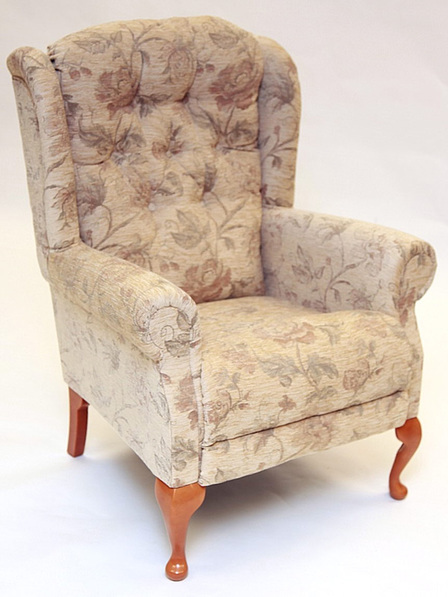 The Abbey chair is available in upholstered, showood or Queen Anne finish as shown. The Abbey is available in three sizes, Grande, Normal and Petite. The Abbey chair offers unbeatable comfort with a pocket sprung seat cushion and luxuriously buttoned back. The Abbey chair is available in a number of attractive covers and Teak, Mahogany or Natural wood finishes.